His Likud Party has won 36 of the 120 seats in Israel’s parliament, according to final results of Tuesday’s election, putting him in pole position to form a new coalition. But, it will only have a slim majority against an opposition that is likely to be led by the centrist-left Blue and White party, which won 35 seats.What coalition will Netanyahu seek? Most likely, a replica of his outgoing right-wing government. In his victory speech, Netanyahu said he intends to form his new cabinet with right-wing and religious parties. Next step is that Israel’s president consults with the leaders of each party about their preference for prime minister. Israel elected Netanyahu for the fifth time in 23 years. The most impressive achievement is, that he won 36 Knesset seats as the man about to be charged in three corruption cases. His Likud Party has won 36 of the 120 seats in Israel’s parliament, according to final results of Tuesday’s election, putting him in pole position to form a new coalition. But, it will only have a slim majority against an opposition that is likely to be led by the centrist-left Blue and White party, which won 35 seats. What coalition will Netanyahu seek? Most likely, a replica of his outgoing right-wing government. In his victory speech, Netanyahu said he intends to form his new cabinet with right-wing and religious parties. Next step is that Israel’s president consults with the leaders of each party about their preference for prime minister. After he will choose the person who he thinks has the best chance of putting together a government. Netanyahu is the obvious choice. If nominated, he has up to 42 days to form a government. If he fails, the president should ask another politician to try. Past coalition negotiations have dragged on. Smaller parties will demand cabinet seats and will have their own financial and legislative demands to fulfil campaign promises made to their own voters. Netanyahu must balance these against his own party’s priorities. Anyhow, he proved once again that he is a master strategist and Israel’s consummate politician. Over a million voters put their faith in him, even with all the legal woes and potential indictments weighing over any government he forms. Netanyahu can take the easy route. 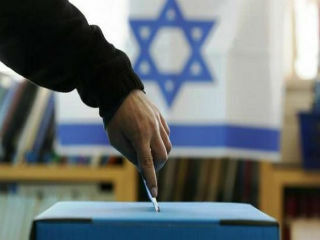 He can stick to his constituency and form the above-described coalition, which would include ministerial positions for MKs like Betzalel Smotrich and Rafi Peretz, as well Arye Deri, Yaakov Litzman and Avigdor Lieberman – who quit the last coalition, triggering these elections. But, Netanyahu could also choose a different path, one that takes not only his interest at remaining at Israel’s helm into consideration, but puts the country’s best interests forward. He could put his natural partners on the Right aside and make an offer to Gantz and his Blue and White to be his main coalition partner in a genuine display of national unity. US President Donald Trump, who gifted Prime Minister Benjamin Netanyahu with recognition of Israeli sovereignty over the Golan Heights just two weeks before the elections, congratulated Netanyahu on his election victory and said it is good for peace. “I’d like to congratulate Bibi Netanyahu; it looks like that race has been won by him. It may be a little early, but it looks like he’s won it in good fashion,” he told reporters at the White House. Trump called Netanyahu a “great ally” and “a friend,” and characterised the campaign as “a well thought out race.” He also said that Netanyahu’s re-election will improve the chances of peace in the region. “The fact that Bibi won, I think we’ll see some pretty good action in terms of peace.” he said. Indian Prime Minister Narendra Modi, who himself is in the midst of an election campaign – with voting there to start on Thursday – tweeted: “My dear friend Bibi, congratulations! You are a great friend of India, and I look forward to continuing to work with you to take our bilateral partnership to new heights.” Modi, with whom Netanyahu has forged a close relationship, then tweeted the same message in Hebrew. Another leader with whom Netanyahu has developed a close relationship, Austrian Chancellor Sebastian Kurz, was the first leader to tweet his goodwill wishes: “Congratulations to Prime Minister Netanyahu for an excellent showing in yesterday’s national elections. While the official results have yet not been published, one matter is clear: you have - once again - gained the trust of the people of Israel in record numbers.” Italy’s far-right Deputy Prime Minister Matteo Salvini, who met Netanyahu in December, also took to social media to congratulate the prime minister, writing on twitter: "Good job to my friend Bibi Netanyahu and a hug to the people of Israel." A less enthusiastic response came from Berlin, where Government spokesman Steffen Seibert said Berlin will “work closely, cordially and faithfully with the new Israeli government." He added that Germany was waiting for the final results of the election. Israel, he said, “lies in a region with enormous challenges, which is why it’s important to form a government quickly." Turkish Foreign Minister Mevlut Cavusoglu is urging Israel to abandon strong “rhetoric and populism” now the election is over. Cavusoglu’s comments were an apparent reference to Netanyahu’s recent pledge to annex Jewish settlements in the West Bank if he were to win the election. Cavusoglu also called on the United States to act as an “honest broker” in the Mideast dispute, saying a U.S. peace plan for the region must be fair and objective toward Palestinians. Newspapers around the world ran headlines covering Netanyahu’s assumed reelection. NBC News wrote, “Netanyahu claims ’colossal victory’ as he appears set to keep power after tight Israeli election,” while other publications took a more subjective approach. The left-leaning Huffington Post headline was “The age of Bibi, Israel votes extreme,” while right-wing Breitbart wrote “Netanyahu wins historic fifth term. Breitbart echoed Netanyahu’s victory speech in which he attacked the “biased media” and exit polls for suggesting his main rival, Benny Gantz from Kahol Lavon, had beaten Netanyahu’s Likud.